I have really, truly been looking forward to sinking my (metaphorical) teeth into this book for a good while. It tells the tale of 23 year old Kika, who is a wonderlusting travel bug stuck in a 9-5 office job in New York City. 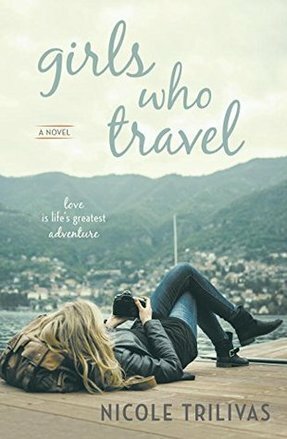 With her memories of how it feels to be on the road; she jumps at the opportunity to work as a nanny for a family in London; where she can catch up with friends, be on the world's doorstep and rekindle an old flame. Kika cannot believe her luck when everything begins falling into place exactly as she planned; but when all seems to begin to unravel, she must decide whether she will fight for what she has never dared dream of, or return to the life she once desired. I was a bit disappointed in the beginning of this book, as I had so many expectations which I felt weren't being met. Kika's character was quite immature, and while there were a million things I could relate to her with, there were a million more I couldn't. However, as happens in life; once I let go of my expectations and just accepted things as they were, I began to enjoy it a whole lot more. I even ended up devouring it in two sittings! I enjoyed the romance dynamics in this novel and loved how Kika's growth and attention didn't focus around that. I loved how bold, unique and honest she was throughout, and in many ways, she is a friend that I would love to have in real life. Overall, it is an easy read which inspires creativity and the desire to dream, and it is a book I would definitely take with me on a trip away.